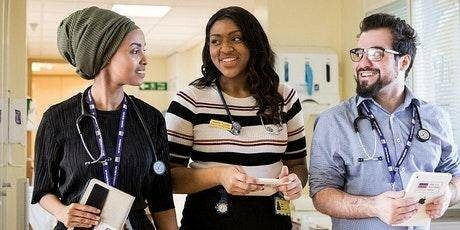 The Hull York Medical School, UK is inviting applications for the MBBS (Bachelor of Medicine and Bachelor of Surgery) Scholarship programs to International students who are looking to acquire a Bachelors degree program in The Institution. The Hull York Medical School is a medical school in England which took its first intake of students in 2003. Scholarship Type: Offer is available for pursuing MBBS course. Field of study: Scholarship is awarded in the field of medicine. Scholarship Benefits:The scholarship is worth one-quarter (25%) of the overseas tuition fee for each year of successful study during the first two years of the MBBS course. UK Scholarship Number :Each Year University awards one international scholarship based on academic merit and financial need. Eligible Nationality: Scholarship is open to international medical students. Students must hold an offer for academic study commencing in September 2018 to be eligible to apply. For applicants commencing MBBS study at the Hull York Medical School. will receive a 25% discount on your overseas tuition fee for the first two years of successful study. This is a competitive scholarship base on academic merit and financial need. must hold an offer for your chosen course to be eligible to apply. As part of the application for this scholarship, you must supply a personal statement between 500 to 800 words. You should tell us why you think you are a strong candidate for this scholarship. We recommend that you prepare this statement before you start the online application.